A 14-year-old Indian boy has signed a deal to commercially produce anti-landmine drones. The child prodigy, who has already developed a prototype, says the idea came to him after learning in the media about the high army casualties caused by land mines. 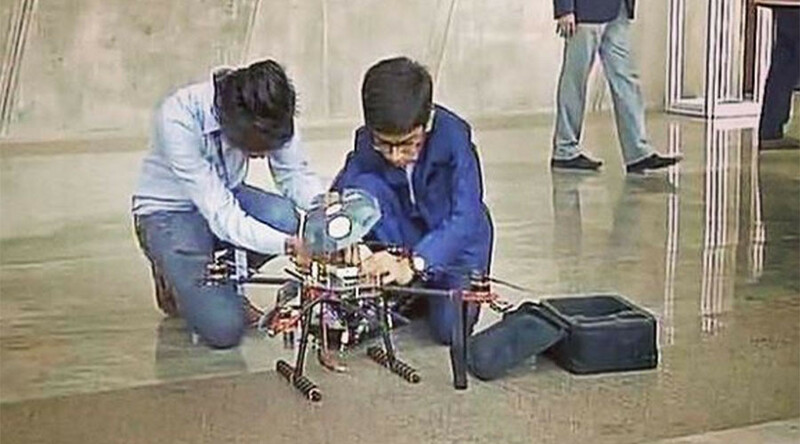 The zealous inventor, Harshwardhan Zala, is a tenth-grader from Gujarat state in western India. During the Vibrant Gujarat summit, a platform for exploring business opportunities that took place from January 10 to 17 this year, Harshwardhan managed to sign a Rs 5-crore deal to produce drones with the Government of Gujarat’s Department of Science and Technology worth about $733,000. Harshwardhan presented a prototype of the drone that he began developing back in 2016. It had cost him Rs 5 lakh (about $7,300) to make and was partially financed by the government. “The drone also carries a bomb weighing 50 grams that can be used to destroy the landmine,” he added. Now the Gujarat government hopes that these anti-landmine drones will be commercially produced. “An MoU has been signed with him and, in the coming days, Gujarat government will work with him on this project,” said Dr. Narottam Sahu, head of the Gujarat Council on Science and Technology (GUJCOST), as cited by NDTV. The 14-year-old believes that his drones will be cheaper than those used by the army. “For the final prototype that I created, it cost me around 3.2 lakhs ($4.6), and improving it further may increase the cost a little but it will be still cheaper than the present system used in the army,” he said. Harshwardhan says he has already set up his own company, Aerobatics 7, and calls himself “Robotics Developer, Drone Maker, Coder” on Instagram. The young entrepreneur’s father works as an accountant and his mother is a homemaker, according to the Indian media.